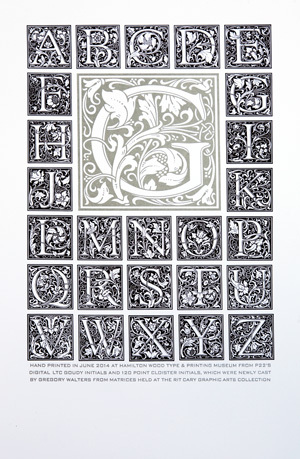 This letterpress poster has been produced to accompany the release of the Cloister Initials recast in metal and the release of the newly redrawn Goudy Initials. 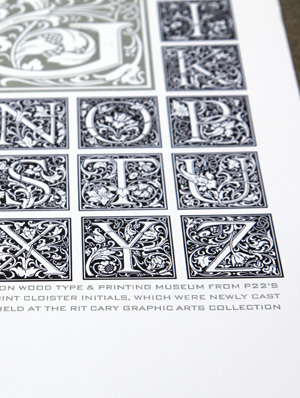 Printing was done at the Hamilton Wood Type and Printing Museum by Richard Kegler, during the APA Wayzgoose event. The newly cast 120 point initials were set up on a Vandercook proofing press and run with black ink on 100# Mohawk Superfine paper. 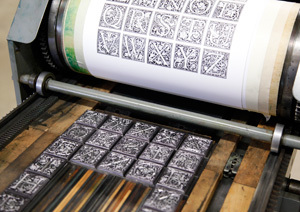 The large G printed with silver ink is a photochemically etched block from the LTC Goudy Initials.